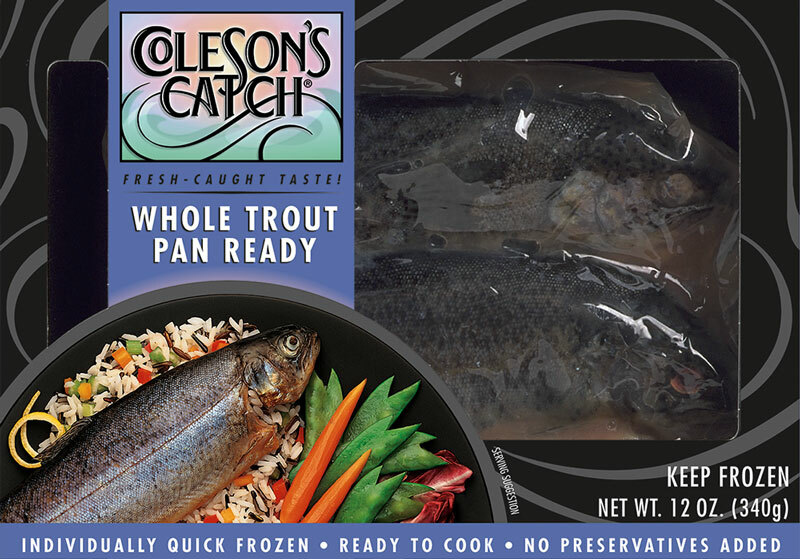 Rainbow Trout Pan Ready | Coleson Foods, Inc.
Rainbow Trout live in the pure waters of the cool lakes and rushing streams of the Northern Regions. It is legendary among game fisherman for its acrobatic leaps and stunts. 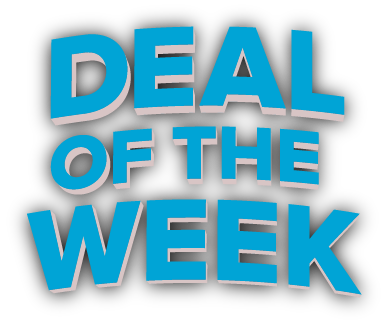 It is recommended that the trout’s soft, smooth, silky skin be left on during cooking to allow an easy, all natural seasoning. Also leaving the head and tail on during cooking minimizes skin breakage allowing its natural flavor to come through. It’s firm, flaky flesh ranges from white to light pink and the delicate flavor contributes to its most appealing characteristic; the variety of ways it can be prepared. 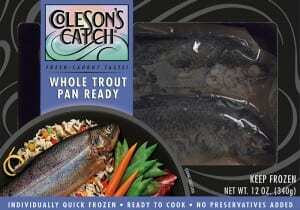 Low in sodium and calories and high in Omega 3 fatty acids, Trout is naturally a sound preference for a healthy lifestyle.